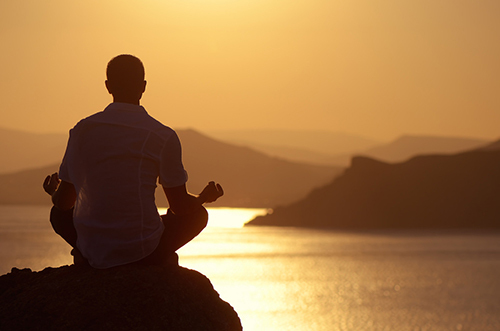 Relax your mind and body, and you achieve an inner balance. To be healthy and happy we need to relearn how to relax—right where we are. 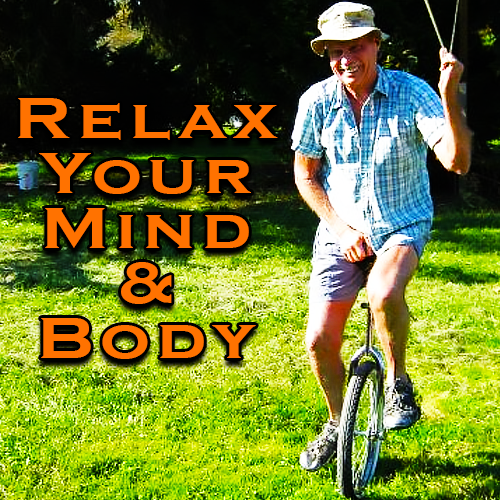 Learn to relax for healthy living. To cope with the everyday world we must learn to relax. There is no need for expensive and time consuming programs that want to occupy your mind and wallet. Unnecessary tension can cause each of us a lot of misery. Tension is the enemy of stability and movement—tension is the unnecessary use of muscular energy. Unnecessary tension can disrupt our healthy little kingdom—don’t let that happen to you. Tension can literally and physically tear our bodies into pieces. It can cause terrible physical and mental damage. One way to relax your mind is to just relax. You might fall asleep while doing these—that is OK. Resume when you wake up. Close your eyes and pretend to make little circles with hour nose. Just small circles about the size of a dime. First to the left and then to the right. Make three gentle little circles and smile. Make three gentle little circles with your chin. Small gentle little circles—smile. Now do three of these little pretend circles with each cheek bone. These can be so small that they can’t be seen—smile. Now three small—very small—circles with your lips. Small gentle circles. Now make three in each direction with each ear. Again, you probably won’t see any movement at this time. But with practice you may see movement. Now for some fun: pretend that you are kissing a duck. Pucker your lips and send a gentle kiss to that duck. Now smile at yourself and let it be seen from ear to ear. Your head will show muscular tension before the rest of your body does. An easy way to help relax your mind and body is to relax your forehead. Pretend there is a dime glued to your forehead … this can be a penny if you are frugal. Make the coin move slowly in small circles. Do this about ten times and then reverse it. Breathe slowly and make it move from side to side. Now move it toward your nose and then up toward the sky. Now: Pretend there is a little choo-choo train that runs around on top of your head. Watch quietly as it chugs happily around at a slow speed. Let it gently move along as you think happy thoughts. Think of the train in the old TV program Petticoat Junction. If you fall asleep, do it again when you think about relaxing. Tension and depression can cause many of our ills—including IBS.